Three Drawer Chests There are 78 products. 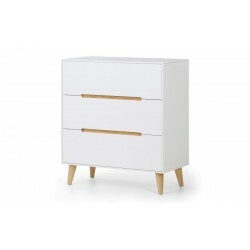 The Miami Bed is made by Particle Board & MDF,The Miami 3 Drawer is made by Wood,Particle Board.Available in different colors.The Miami range is colourful, functional and easy to assemble. 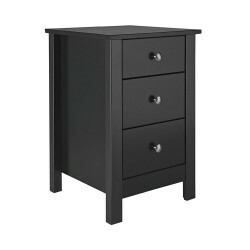 The acton bedside cabinet features 3 equally sized drawers with metal runners for easy and smooth movement. Silver handles add to this contemporary look. White door and drawer fronts on a white carcass. 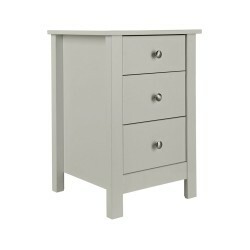 The Kensington bedside cabinet features 3 equally sized drawers with metal runners for easy and smooth movement. 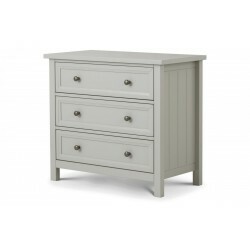 The Oval bedside cabinet features 3 equally sized drawers with metal runners for easy and smooth movement. Metal handles add to this contemporary look. High Gloss Mocha door and drawer fronts on an Oak carcass. 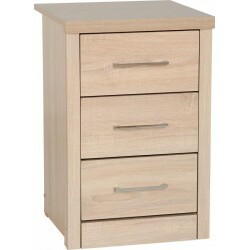 The Euston bedside cabinet features 3 equally sized drawers with metal runners for easy and smooth movement. Metal handles add to this contemporary look. Oak door and drawer fronts on a White carcass. 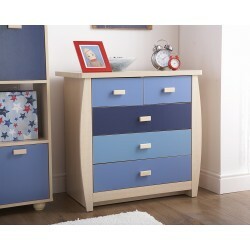 The Angel bedside cabinet features 3 equally sized drawers with metal runners for easy and smooth movement. Metal handles add to this contemporary look. High Gloss White door and drawer fronts on a White carcass. 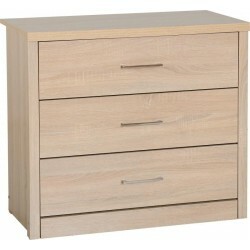 The Acton bedside cabinet features 3 equally sized drawers with metal runners for easy and smooth movement. Metal handles add to this contemporary look. 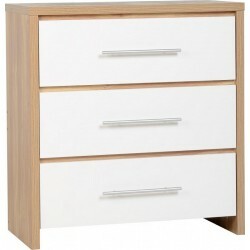 White door and drawer fronts on a White carcass. 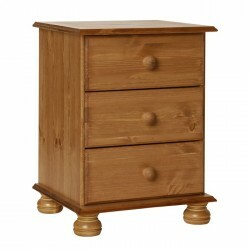 A stylish oak 3 drawer chest, perfect for the modern teenage or student bedroom. Ideal buy for Landlords.